Last night as Hannah and I deep-cleaned her room, it occurred to me how very much like her mother my daughter is. 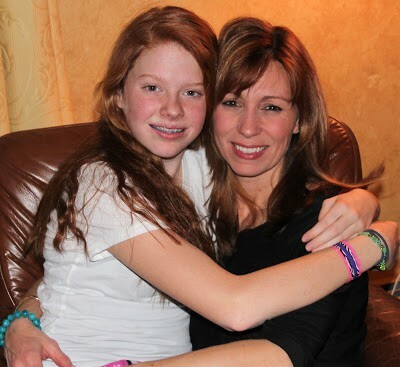 She looks like her dad’s side of the family, but she reminds me of me at age 12….and at age 41. She is a messy marvin. Not because she’s not a good little housekeeper – she’s the first one to clear her plate, fold a load of laundry, or vacuum whenever I ask. BUT – like her mother – she always has 20 balls in the air at once. Homework spread out far and wide. Clothes that she has outgrown in a pile on the floor, waiting to get donated. Arts and crafts that she has started but not finished, and therefore can’t put away. Clean clothes yet to be put in drawers. Lotion and body spray and nailpolish and lipgloss here and there. I wish I had taken a before picture to show you, but it would probably have given you hives, so let’s just pretend it looks like this all the time! The messiness of all my kids’ rooms makes me a bit crazy, I’ll admit it. On the other hand, I am so glad to be able to give them a place to retreat to, to hang out with friends or have some downtime, so I’m trying, really trying, to chill out about the state of their rooms. At ages 14, 12 and 10, I think it’s important that they care for their belongings and pick up after themselves, but at the same time, I get having a place to be free in. And I’m choosing to pick my battles with my children carefully. The battle of getting my kids to keep their rooms clean falls way down on the list after working hard in school, being kind to their siblings and friends, being respectful to their parents, doing their best in athletics and activities, being thoughtful and considerate citizens of the earth, and picking up after themselves in the common spaces of our home. So I take my mother’s advice and close the door to my kids’ rooms if they are unsightly! Back to my little/big girl’s room. Like her mother, Hannah always has something creative going on. Duct tape bracelets. Doodling. Funky lettering. And of course – nail art. Silly me, I thought this desk would be used for homework. But truth be told, the desk is from Hannah’s little girl room (how did the years go by so fast that she’s not a little girl anymore??) and is a bit short, especially with the chair that came with it, for a girl that as of last night is 5’5″ and growing by the minute. She much prefers to spread out on her bed or the floor with her homework, so the desk is used for her craftiness. To make the desk more usable, I took off the drawer, and replaced the toddler chair with a vanity stool. The stool was $20 on Amazon and arrived with the legs ready to be assembled. 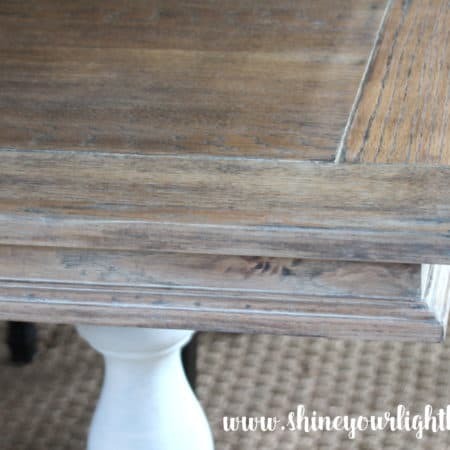 I thought I would be able to pry off the nailheads and recover it, but alas, those nailheads were not budging. 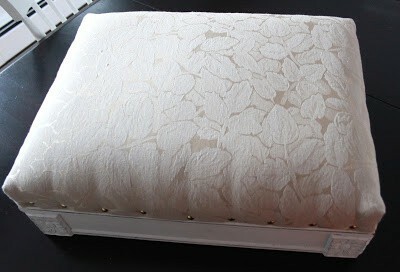 Plan B: I used upholstery tacks to attach fabric right over the existing cover, trimming the excess. Then I simply glued grosgrain ribbon over the tacks to hide the raw edge. Now Hannah has a comfy spot for all her crafting. 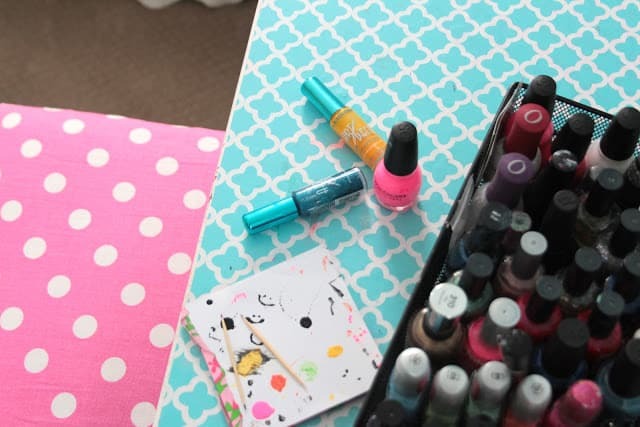 The absence of the drawer gives her the perfect amount of legroom between the stool and the desk, and the little vanity stool is big enough that two 12 year olds can share it to do their nail art. I found this blue contact paper at Marshalls – it goes with the walls perfectly! 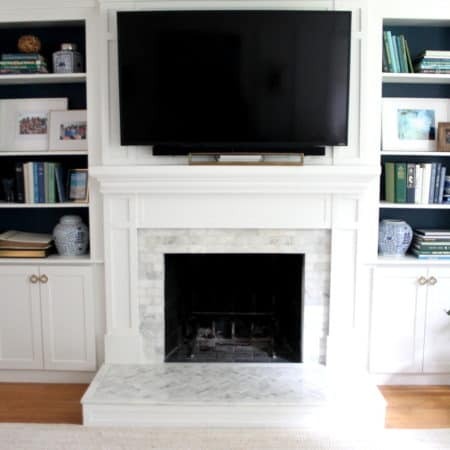 (the wall color is Ben Moore’s Splash 2059-60 if you’re interested.) It’s easy to replace with a fresh piece as needed. This fun little project has sparked a couple other tweaks in Hannah’s bedroom that I’ll share with you soon! Make yourself a nice comfy seat, chill out and just enjoy it! 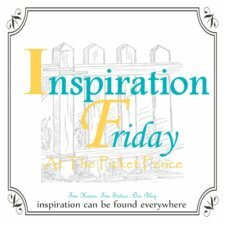 I’m linking up to some of my favorite blogs! I am absolutely with you on which battles to pick! I make my kids clean (=tidy up) their rooms every couple of weeks, when there is no way they could be productive due to the mess! Otherwise, I close the doors so it doesn't make me crazy! 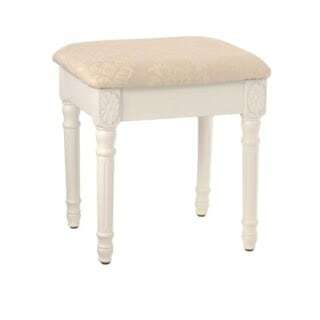 Hopefully Hannah's stool gets lots of use, it is adorable!!! This is so darling. What a beautiful room. Yes! The messes drive me bananas but I am like you and try to pick my battles. Thankful they are creative and have imaginations that allow them to create such "masterpieces of a mess!" The stool turned out adorable. The whole room is energetic, girlie and gorgeous! I wish my room looked like that as a teenager. Well done! Such a cute room! I love what you did with the stool. Hannah, is beautiful just like her momma. I adore the room and stool. Very bright and gorgeous! What a great girls room. I love the colors…really fresh. 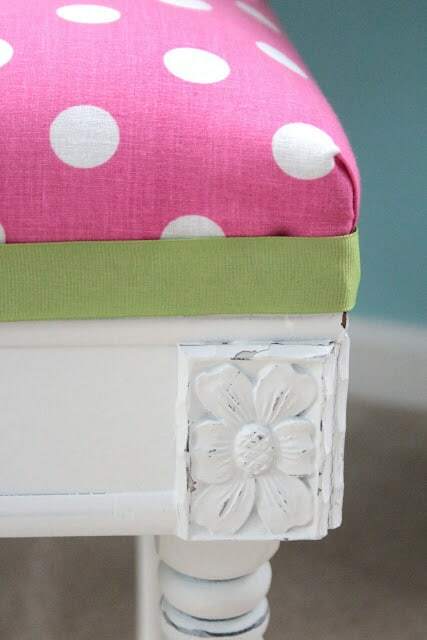 That stool turned out so adorable, and what a great idea to remove the drawer for a little more leg room! I bet she's thrilled. She's been wanting to do a "room refresh", and I'm itching to get her room semi-organized, so I should jump on the wagon train and get going! Too many plates spinning all at once around here too!! 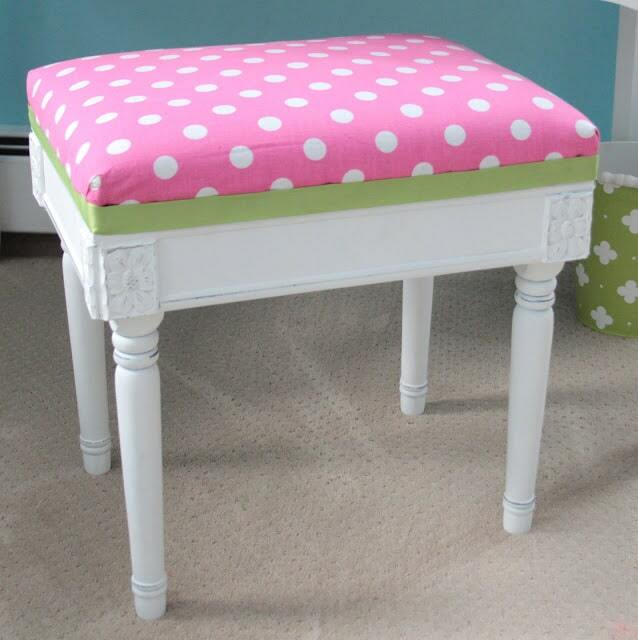 the stool is adorable! it's perfect and love the pop of pink! her room is so adorable- going to pin it! You two are SO cute, I think she looks just like you! 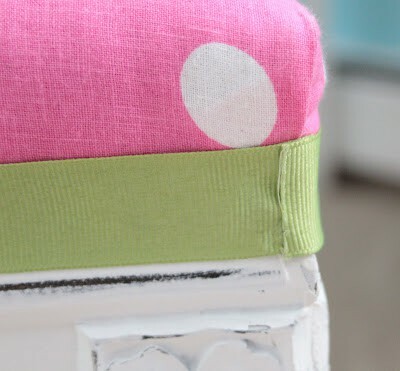 Love that fun pop of pink polka dots on that side of her room, which I can't even picture a mess! 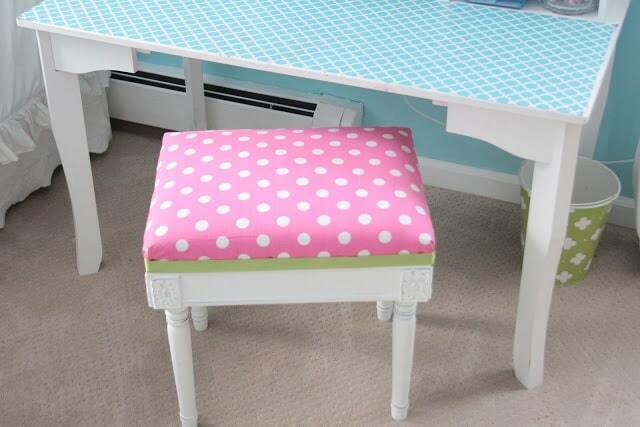 Very clever to remove the drawer, and the stool couldn't be more girly chic! Ah what a great photo of the two of you! She is so pretty, just like her mom. 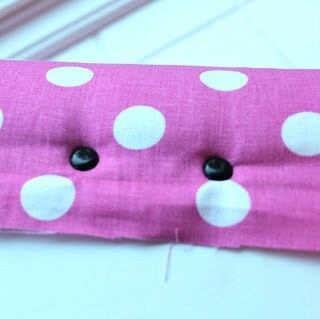 Her room is lovely, the pink polka dots are great with the pink closet. I love her room! Her room is just beautiful. A pop of color, and yet still very serene. Love. 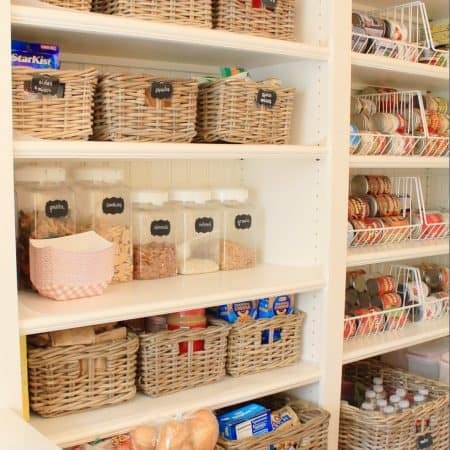 Perhaps you and I are doing the same thing– going through the whole house, winter cleaning.? What an adorable girl's room! And I love what you did with the stool. 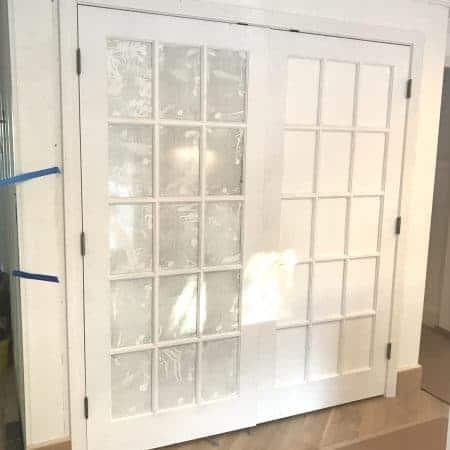 We also took the doors off our daughter's closet when she was younger and did something similar. And I am with you on picking your battles…so true! I have done the "close the door" thing myself many times. What a sweet post and a beautiful stool. Not to mention two beautiful ladies! Such great advice- pick your battles – I have to remember that with my own daughter sometimes! Love the polka dots – so fun! Awesome little update, Lisa! I, too, follow the close the door rule. Although, that seems to make the times you decide to tackle the mess a little harder. It's all about balance, right? ha! I love her beautiful room! This project is inspiring me too because I bought an ottoman for Mila's room intending to make it over a LONG time ago and still haven't. I hope it comes out half as cute as yours!